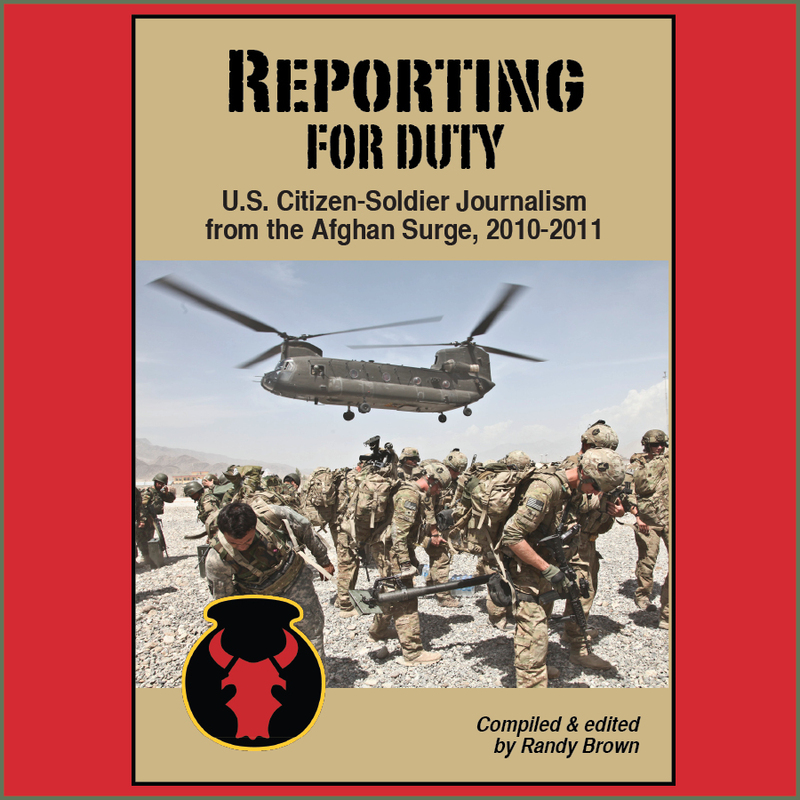 Two former citizen-soldiers are now co-editors of Line of Advance, a non-profit literary e-journal of military writing. The recently launched quarterly publication is available for single-issue purchase or yearly subscriptions, and in either Kindle or ePub formats. 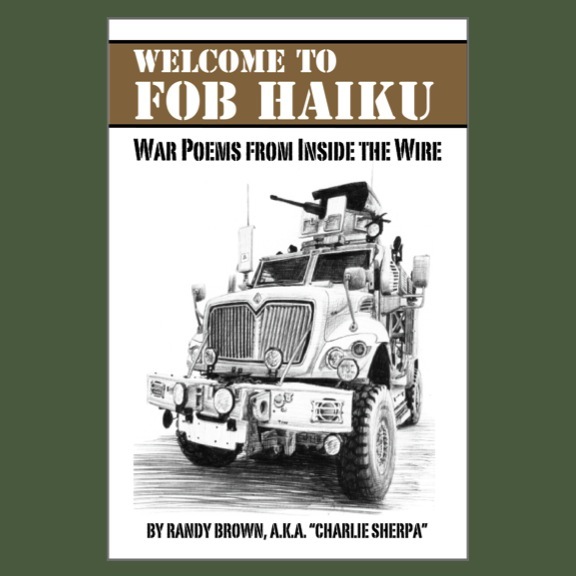 The 84-page premiere issue of Line of Advance is a mix of historical snippets of military poems and prose, paired with more contemporary examples. Co-editors Chris Lyke and Matt Marcus, along with co-founder Ryan Quinn, have created an flexible storytelling platform that is likely to avoid easy categorization in future issues. "Matt and I are both writers and that’s why we were friends overseas," Lyke wrote at the SpouseBuzz blog in July 2013. "We’d share books and talk about writers and music when we spoke late at night on guard duty. [...] There were about fifty Americans and about the same number of Afghan army soldiers." We occupied the outpost on the side of a mountain overlooking the intersection of three valleys. We patrolled and guarded and protected our little sector of Laghman Province. There were almost no creature comforts. So when there was down time—precious little there was—we often took notes, sketches really, of what was happening. I was a squad leader and received all the mission briefs and locations and paperwork documenting what we were doing. All of that went into the footlocker on the way home. We knew, without talking about it, that we’d be writing about our time over there. We’d eventually start documenting it, creating some kind of art from the experience. Depending on submissions, future issues may be organized around special themes, or include experiments in form and format. 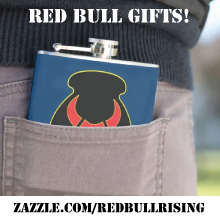 "As for categories of work, we're open," Marcus says during a short e-mail interview with the Red Bull Rising blog. "We have several people helping us review submissions, and as a committee we all have individual preferences. I love short stories. Chris loves poetry. And on from there. We've even considered publishing a novel in a serialized format over a span of issues." Above all else, however, the editors seek authentic voices. "We're looking for creative work that is authentic to the individual veteran's experience," Marcus says. "We ask that people not write or express what they think other people want to read, but write what they want. Something amazing happens when creative writing really conveys personal narrative." Submissions guidelines are here. Upon acceptance, editors will ask for validation of military or veteran status prior to publication. 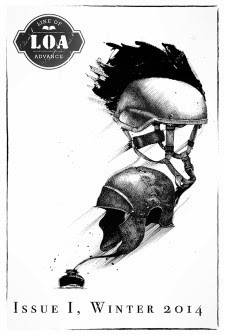 The cover of the first issue features a work of Chicago artist Bryan Butler, which depicts a modern combat helmet alongside an ancient Roman helm, each rising like black smoke from an inkpot below. According to the publication's submissions page, there may be a limited number of opportunities for visual artists and photographers in future issues. A website for Line of Advance is here. A Facebook for the publication is here.